A metaphor is a good friend for a trainer (see what I did there?). It helps you communicate complex and abstract concepts easily, by creating a quick visual imagery in the minds of your audience. A boring sentence like, “Metaphors are useful for trainers” – doesn’t help you paint a mental picture. The moment I say, “A metaphor is a good friend for a trainer” – your mind quickly forms a mental picture of ‘metaphor’ being a friend. All the attributes of a good friend, like – supporting your view, strengthening your side etc. get transferred onto the word -‘Metaphor’. Now suddenly, an abstract concept like ‘Metaphor’ becomes tangible. Another significant benefit of a metaphor is – it helps you set a framework to absorb new information. I use the metaphor of ‘Path’ to connect the various events that happened over the last few years. When you learn how to use metaphors correctly, your training presentations will get far more powerful and memorable. My answer has always been – “I consciously practice creating visual metaphors”. Let me show you how I create visual metaphors by picking up simple objects around me. Let me continue with the metaphor I talked about earlier – “The path we traversed”. Those 6 points represent the various events that happened in the past few years. When I think of a road, the next natural thing that comes to mind is – the various milestones that come along the way. I can use the slide to represent three different options, the risks involved in each of the options and so on. I can use that metaphor for various other purposes like task management, prioritization etc. 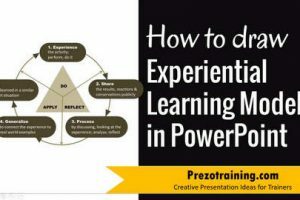 Now do you see how easy it is to create visual metaphors for your training presentations? You just need to pick up one idea and travel with it inside your mind. 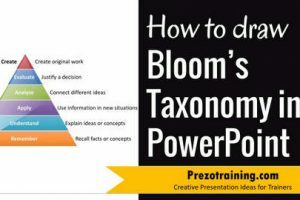 You will automatically come up with tons of ideas to create visual metaphors. The hard part is not about getting the ideas for visual metaphors. The issue always comes in converting those ideas into meaningful visuals. It takes a lot of time and skill to create powerful visual metaphors on a PowerPoint slide. 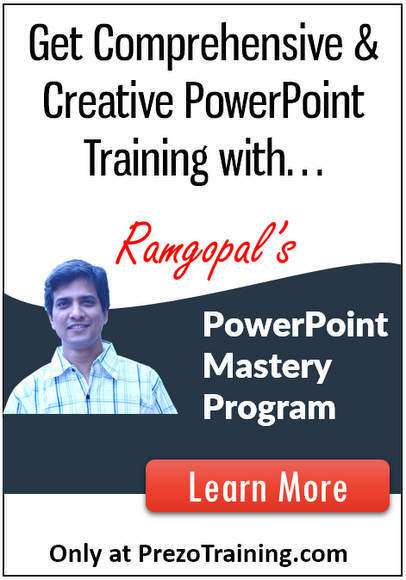 It is a collection of more than 4000 fully editable PowerPoint templates created specifically for trainers and course creators. All the examples I showed above are taken from our Complete Trainer’s Bundle. 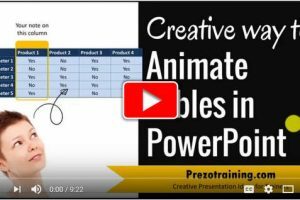 The bundle has unique collections like – Industry specific models & frameworks, animated actions, illustrated concepts, creative visual metaphors and a massive collection of trainer assets that help you create your training presentations in a heartbeat.